Home » Blog » Is There A Better Okta® Out There? As the single sign-on (SSO) market heats up and more players file in, a common question arises. Okta® has done a tremendous job of being the cloud hosted web application single sign-on leader since going public in 2017. 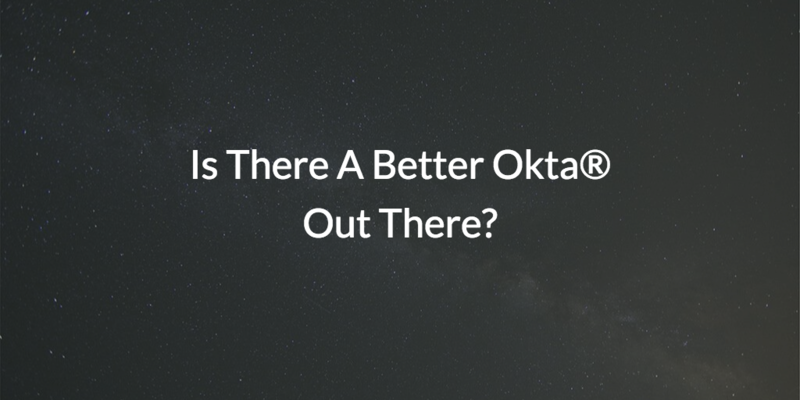 However, as the big dogs like Google, Amazon, and Microsoft® enter the SSO playing field, IT admins are often asking: is there a better Okta out there? To gain a better understanding of Okta and where they stand in the IDaaS (Identity-as-a-Service) market, we need to look at the field as a whole. Historically speaking, the idea of IDaaS was introduced in the mid-2000s when we saw an inflow of web app SSO providers. This group proposed the first generation of SSO solutions from the cloud. For years, identities were stored on-prem with tools such as Microsoft® Active Directory®. In the past, the world primarily leveraged Windows® products. So AD was, by default, the identity provider of choice. But, as the IT realm grew, web-based applications began to flood the workplace. Active Directory was stuck between a rock and a hard place, as it wasn’t made to integrate with non-Microsoft or cloud hosted solutions. The need to connect users with their web apps is what sparked the need for SSO solutions that could essentially sit on top of AD and grant users access to the resources they need. Okta was one of the first of these solutions to hit the market. It gained traction fairly quickly due to the the popularity in the use of web applications such as Slack, Salesforce, GitHub, and many many more. However, having to leverage web app SSO solutions in conjunction with an on-prem identity provider has proven to be cumbersome, with high costs and decreased efficiency. While Okta is a leading SSO platform, IT admins eventually wind up questioning the possibility of better Okta replacements. Better is all a matter of opinion, after all, beauty is in the eye of the beholder, right? But, the truth is there are definitely plenty of fish in the single sign-on sea. For example, Google Cloud Identity has added SAML-based SSO capabilities, along with their already existing OAuth ability. Amazon recently announced their Web Services™ (AWS) SSO, clearly taking aim at not only Okta and Google, but Microsoft as well. Microsoft is specifically targeted due to the fact that Microsoft’s Azure® Active Directory® service is really a web app SSO platform, along with being a user management system for Azure. Of course, there are many other small-scale competitors to Okta out there that are focused solely on being a web application SSO solution, with no interests that relate to their other lines of business. The challenge of a better Okta becomes how to compete against Okta and the other giants that are trying to drive adoption of their cloud infrastructure by making it easier for organizations to leverage their identities across a wide range of web applications. And, of course, the fast moving startups that are likely following Okta or innovating their approach for a likely cheaper amount. What Does a Better Okta Really Look Like? A better Okta may not actually be in the web app SSO market, however. It may be taking a look at the problem completely differently. The SSO providers have largely extended Active Directory to the cloud with their platforms. What if a better approach is to rethink the core foundation, and instead take an alternative, improved approach to the identity provider? 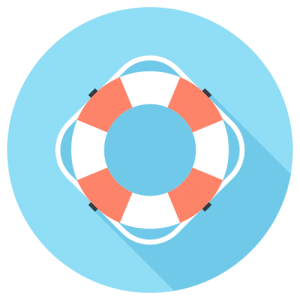 By securely managing and connecting users to the IT resources they need including systems, applications, files, and networks, maybe the better approach is to create one identity to connect to a wide range of IT resources, not just applications. JumpCloud® Directory-as-a-Service® is a cloud identity management solution that securely manages and connects users to all of their IT resources regardless of platform, protocol, provider, and location. We call the result True Single Sign-On™ because, when JumpCloud is implemented, users will be able to use one set of credentials to log in to all of their resources. This includes their system (Mac®, Linux®, and Windows), on-prem and remote servers (GCP™, AWS), legacy and web-based applications, productivity platforms like G Suite™ and Office 365™, physical and virtual file storage (NAS devices, Dropbox, etc. ), and wired and wireless networks. IT admins no longer have to settle for an on-prem directory service with a myriad of add-on solutions. With JumpCloud Directory-as-a-Service, admins can leverage one sophisticated identity provider that provides them with management and visibility over their entire IT environment. Find out more about moving beyond SSO with a better Okta solution by dropping us a note. We also encourage you to start testing our comprehensive IDaaS solution by signing up for a free account. Your first ten users are free forever and you’ll be able to test the whole platform.